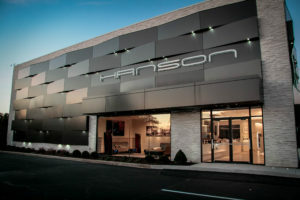 The Hanson AV Cincinnati Showroom is officially open for business! Our brand new 5800 square foot state-of-art showroom has been called “a wonderland for tech heads,” and “a haven for anything high tech.” This location features 3 hi-fi listening rooms, 3 home theaters, and a home automation experience center among other highlights and attributes. We offer world class brands such as McIntosh, Bowers & Wilkins, Magico, Sonus Faber, Moon by Simaudio, Devialet, and Control4.. just to name a few. We welcome you to stop by our new location and allow our team to design your next home theater, hi-fi stereo, or home automation system.